Through 80-degree temperatures, mid-October might have snuck up on many Pennsylvanians. But prime time for Pennsylvania hunting is upon us. While hunting opportunities exist throughout the year in Pennsylvania, and some fall hunting seasons already are underway, the majority of seasons are entering their stretch runs toward opening day. 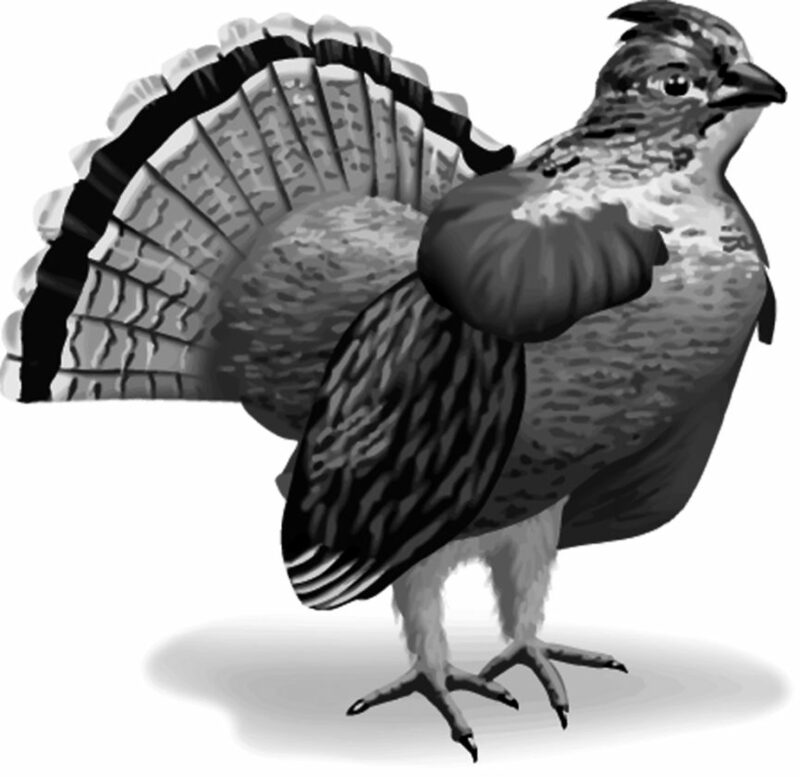 This weekend hosts five awaited openers – the first day of the regular squirrel and rabbit hunting seasons, the opening day of the one-week muzzleloader season for antlerless deer, and the first day of ruffed grouse and woodcock season. Saturday also is the first day of duck season in southern portions of Pennsylvania. These openers lead the way for the Oct. 20 opening day of the pheasant season, as well as the opening days for foxes and other species. Several big-game seasons lie just beyond. All of this means hunters will become a more common sight throughout the Commonwealth. Statewide, hunters are reminded that hunting with a firearm is not permitted within 150 yards of any occupied structure, school, farm building or playground unless prior permission is obtained from the building’s occupants or property owners. This perimeter is known as a “safety zone,” and possessing a loaded firearm within a safety zone is considered hunting and a violation of the law. Trapping furbearers, and chasing or disturbing wildlife also are prohibited within a safety zone, unless permission is given. A similar law applies to hunters using bows or crossbows, but the safety-zone perimeter is smaller in most circumstances. Archers and hunters using crossbows must remain at least 50 yards from any occupied structure or farm building unless they receive permission from the building occupants or property owners to hunt at closer distances. The safety zone around schools and playgrounds remains 150 yards for archers, however. Hunters also are reminded that fluorescent orange requirements vary depending on the species being hunted. Illustrations depicting the requirements that apply in different seasons can be found in the 2018-19 Pennsylvania Hunting & Trapping Digest available online at www.pgc.pa.gov. Each hunter taking part in the upcoming early muzzleloader season for antlerless deer needs to wear a minimum of 250 square inches of fluorescent orange on the head, chest and back, combined. The orange each hunter wears must be visible from all directions (360 degrees) and must be worn at all times while hunting. This requirement applies to hunters who participate simultaneously in the muzzleloader and archery deer seasons. During the one-week early muzzleloader season, properly licensed hunters are permitted to carry both a muzzleloader and a bow or crossbow. A hunter would need both archery and muzzleloader stamps, plus a general hunting and an appropriate antlerless deer license or Deer Management Assistance Program (DMAP) permit. While hunters who are taking part strictly in the archery season are required during the early muzzleloader overlap to wear 250 square inches of fluorescent orange while moving, they are permitted to remove their orange once settled into a stationary position. Archery hunters who remove orange clothing are required to post 100 square inches of orange within 15 feet of their locations, and the posted orange must be visible from all directions. Archery hunters who are simultaneously participating in the early muzzleloader season, however, must follow the orange requirements for early muzzleloader. Hunters during the early muzzleloader season may use in-line, percussion and flintlock muzzleloaders, and sporting arms may be equipped with scopes, peep-sights and other lawful sighting devices. The one-week early muzzleloader season includes a three-day overlap with a special firearms season for antlerless deer. During that season, which runs from Oct. 18 to Oct. 20, junior hunters (ages 12 to 16), senior hunters (ages 65 and older), mentored youth (hunters who are younger than 12, but who obtain a permit to hunt), hunters who are on active military duty, and certain disabled hunters are able to use a variety of sporting arms to harvest antlerless deer. Permitted sporting arms include manually operated centerfire rifles, handguns and shotguns; .44-caliber or larger muzzleloading long guns; semiautomatic centerfire shotguns that propel single-projectile ammunition; .50-caliber or larger muzzleloading handguns; long, recurve or compound bows; and crossbows. To take part in the special firearms season, hunters must meet participation criteria and possess a general hunting license and valid antlerless deer license or DMAP permit. Hunters also must wear a minimum of 250 square inches of fluorescent orange at all times. Each mentored youth taking part in the special firearms season must possess a valid permit, and the mentor who accompanies a mentored youth afield must possess a valid antlerless deer license or DMAP permit. The antlerless deer license or permit can be transferred upon harvest by a mentored youth, and each mentored youth hunter may receive only one antlerless deer license and one DMAP permit by transfer during a license year. For a more detailed look at the regulations pertaining to these and other seasons, or to view hunting season start and end dates, as well as bag limits, visit the Game Commission’s website.